Visit a historic house and you’ll learn about its famous inhabitants: people like Thomas Jefferson, George Washington, and Frederick Douglass. But at two historic houses in New York, there are no famous people. Stories of ordinary people are refreshing, I find. But when I visit sites like these, my first question is: what happened to these people? Where are their descendants now? How did their lives and circumstances shape the present? At the Tenement Museum, visitors learn about European immigrants. At the Weeksville Heritage Center: black property owners. We know what happened to the European immigrants: upward class mobility. But what about the residents of this historic black settlement? They’re frozen in time. What about their children and their grandchildren? How did this person I’m learning about, how did their decisions, choices, and circumstances effect their children and how, in turn, did those lives effect people are living today? How do the stories of the past relate to the present? To answer these questions, I asked my students to research a few of the residents of these historic houses — from their birth in the 1890s to their death in the 20th century, many of them lived till about the 1970s. The results are astonishing! All the white people bought property in outer Brooklyn, sold it, and made a profit. Meanwhile, all the black neighborhoods: redlined. This is how black communities get plundered. This is how the racial wealth gap happened. We followed ten NYC residents — all born about 1890. Five from each historic house. By following these ten people through their lives, we’re tracing the formation of today’s real estate market. My students uncovered the basic facts. (See my students’ findings here.) Now I’m using mortgage documents and deeds to piece together these ten family’s financial stories (wealth genealogies, I’m calling them). Bankers created maps to assess home values; I’m looking at those. I also have maps of “racial colonies.” Census data shows us how the population changed or migrated. The goal? 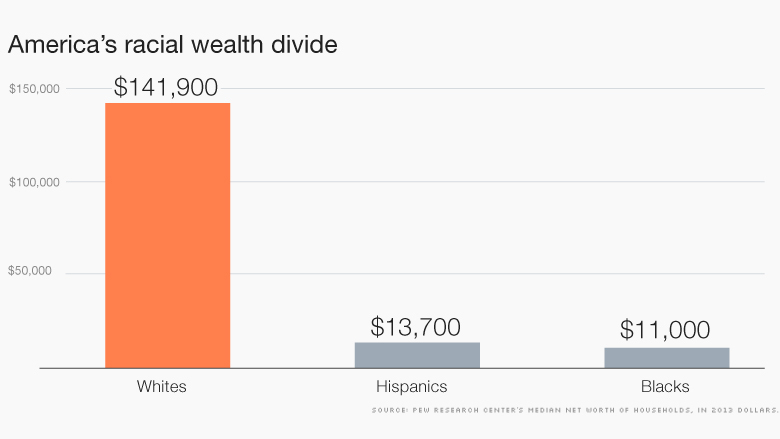 To illustrate why black people, on average, have far less wealth than white people. The median family wealth for black families is only $11,000. For whites: $140,000! But it’s hard to comprehend what that really means unless we can tell stories about actual people. I’m tracing the story of plunder. This is not just a story of victims, however. I want to tell stories about people who make choices, often great choices (even though the range of choices available to them is limited). Black communities get plundered every generation. How do people manage it? What are the results today? In other words, this project is designed to answer the question, how did we get here? Learn more about color-coded redlining maps at Mapping Inequality. See more about our class research project on the class blog. Also see my relational database here. Using Airtable, I’m collecting information about Weeksville and Tenement Museum residents and their wealth trajectories. Was the area redlined before or after selling? How did redlining affect each family’s ability to accumulate wealth — to extract economic value from the landscape? How did redlining affect inter-generational wealth accumulation from the 19th-century to the present?